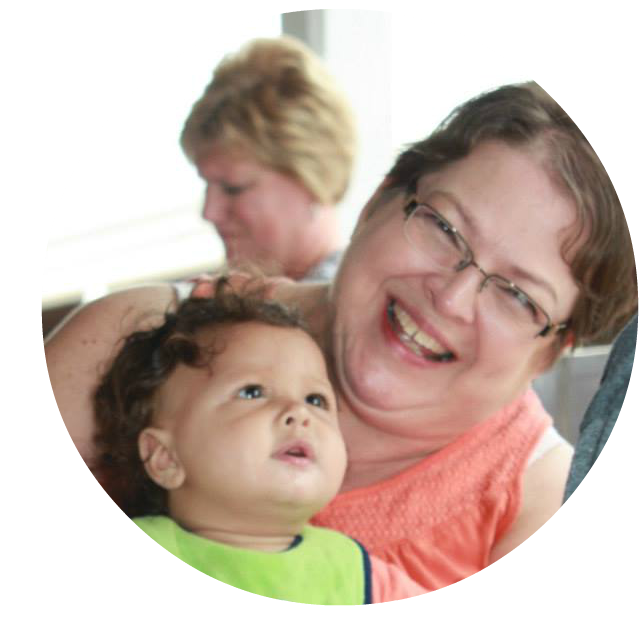 September seemed like a long time off when I signed up for this blog hop but as you know, time flies when you're having fun! And flown it has! Where did summer go? School has started again, for some of you, the temperatures are cooling down (so far not so in Texas) and before you know it it will be Christmas! WHAT!! So grab a cup of your favorite beverage and have a look at what I've been doing all summer in August. As you may or may not know, the requirement for this hop was to create at least 3 projects over the summer and at least one of those projects had to include some Riley Blake Gingham. We're on a mission you know - to save the gingham. And we did it! When I first heard about this gingham dilemma, I immediately thought of Rosie the Riveter! "We can do it, yes we can!". 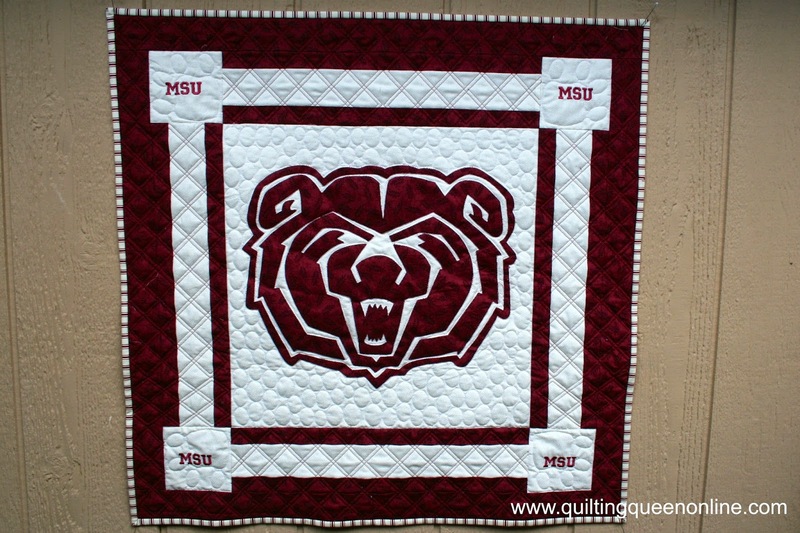 So I ordered this quilt panel and some black gingham and made this cute little wall hanging for my studio. 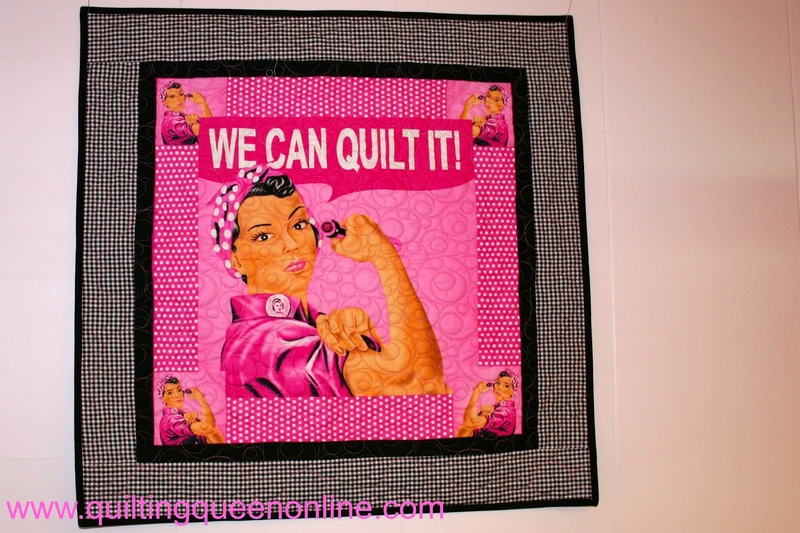 She also reminds me that "I can quilt this, yes I can" when a challenging quilt is thrown my way. I've called it "GINGHAM ROSIE". When we moved William to college and left him, his room looked like this. I'm sure it doesn't anymore but at least it did for a few hours. But it needed something on the wall over his bed. I'm sure he'd rather have a poster of League of Legends or something but since I'm in charge of decorating, this is what I made him for the wall. Don't you think that beats a bare wall any day? My last project is really quite a few projects. I'm sure I've mentioned a time or two that I want to redo my kitchen and I want to do it in aqua blue and red, kinda retro/vintage 1960's style. I've been buying some new pieces to go with the color theme and decor. And then I thought, hey gingham certainly was a staple in the 60's so why not do a little more to save the gingham. I'm calling this set "Little Miss Suzy Homemaker". When I was a teen and young adult, my friends would often refer to me as "Little Miss Suzy Homemaker" because of all the projects I would do (4-H played a large role in that motivation). A wall hanging, some place mats, a couple of pot holders, a microwave dish grabber, a new valance, and some jazzed up tea towels should make a good start. I'll share the pattern with you after the blog hop is over in a separate post. Who remembers the wooden spoon and fork hanging on the kitchen wall? 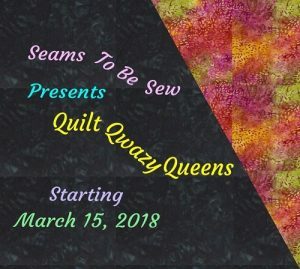 Of course we couldn't end this post without thanking The One, The Only, Madamme Samm at Sew We Quilt. She's the mastermind behind all these fabulous hops and of course our most cheery Cheerleader Shari at Living With A Purpose and we couldn't forget Riley Blake Designs for saving the gingham. So now that you've made it this far, how about a giveaway. I have another panel of Rosie the Gingham Quilter and a 1/2 yard cut of black gingham to give you. Just leave me a comment and tell me if you've done your part to save the gingham. What did you purchase? I'll use random number generator to pick a winner. It's open to everyone. However, don't be a no-reply commenter. I must have an email to be able to contact you when you win! And for a second chance, SHARE this on Facebook, Instagram or Twitter. Thanks you so much for visiting. 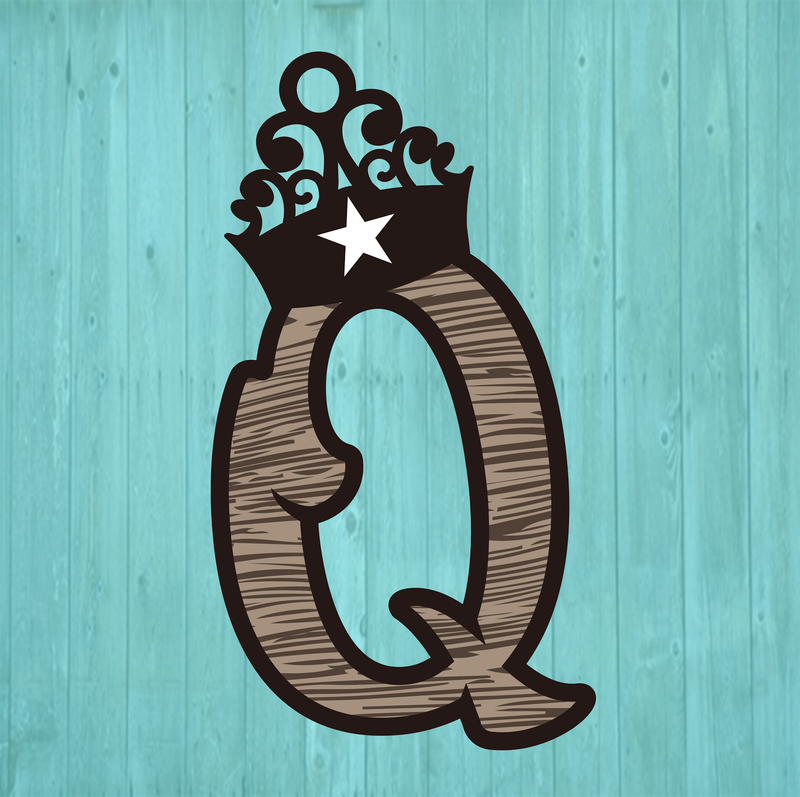 Now go visit the rest of the talented ladies on Que for today and the remainder of the hop. Love the Rosie the Riveteor! Ah, I remember decorating a dorm room, but that was my daughter and way easy. I do remember the huge wodden fork and spoon in the kitchen (my Mom probably has them squirreled away). I have my gingham projects ready for the hop - my day is the 15th. 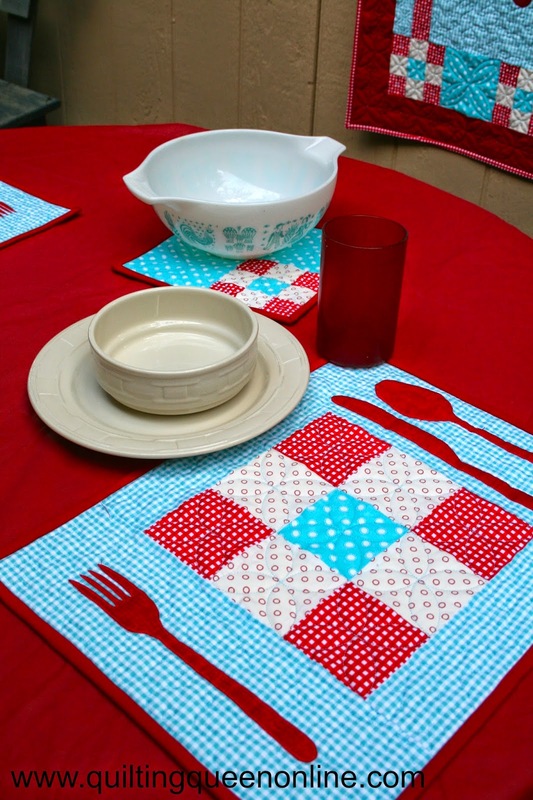 Love your kitchen items and the colors you used! I bought lot's of RB gingham for my stash. Sew glad they are keeping the medium size. Thank you for sharing your Summer projects. Oh, Doris, I was smiling through your whole post and then I got to Little Miss Suzy Homemaker and wow oh wow....love it. You've created the perfect retro retreat. The fork and spoon wall hanging gives me goose bumps. My parents had that huge fork and spoon you speak of. You never disappoint. I can't believe you finished all of this (in August?) wow oh wow. Great job, my friend. Lovely projects; I really like the bear! I also have a spoon and fork wall hanging! I am sorry, but it is difficult to get a hold of RB gingham where I live, so that's a part I haven't done anything about. I love Rosie! What a fun idea. And I do believe you can, especially seeing all the projects you have put together. The bear looks beautiful and will work wonders on that wall! Your kitchen is going to look fantastic with all those colourful pieces you made. You did loads! And you managed to keep all that under wraps for most of the summer too! Now, I am not eligible for the give-away. I did nothing to save Gingham. Nothing at all. Didn't make anything with it, didn't buy it, didn't touch it. Good luck to the others! I love your projects - especially those for your kitchen! I'm afraid the campaign to save the gingham must have passed me by - I didn't know about it!! I do remember the wooden fork and spoon ! Some painted aqua would go with all your over the top goodies perfectly ! Sew cute Doris....great job, I love Rosie, can't wait to see it Tuesday ! Your GOOD GIRLFRIEND ! GO MSU ! 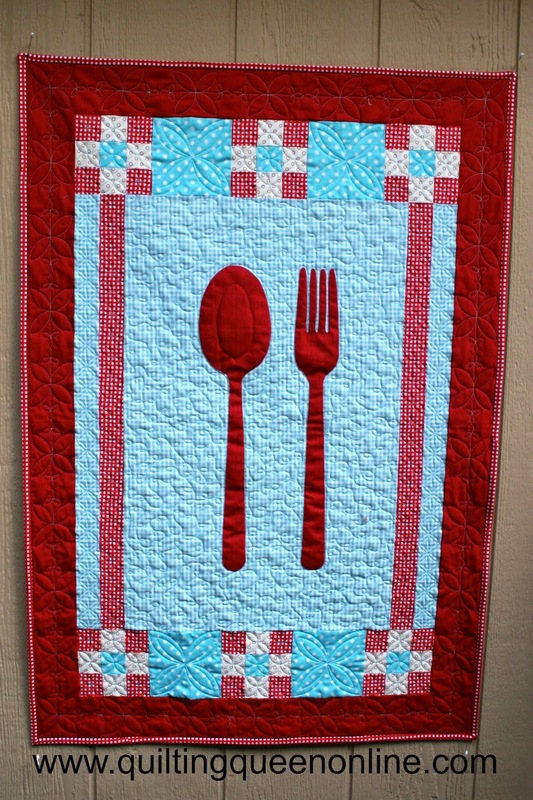 We had the fork and spoon on our wall growing up...and I just love all your projects!! Your outdoor kitchen set up is fantastic. Really, seems like everyone I know has an old window hanging around for a photo shoot! I'm really glad RBD is keeping some gingham cause I'm gonna need more! Sadly, I did not purchase any gingham. I do love it though and your projects showed me again how versatile it is. Nice job! I adore your "Little Miss Suzy Homemaker" collection, and I'm sure your son's got the most stylish room around! Doris.....your garden setting is amazing.so inviting...your sons. quilt wow....a lot of detail.. i am sure many will be impressed with his room....really beautiful gingham everything ..
Rosie is quite the star with that gingham to show her off. I love, love, love your kitchen colors and projects! My mom had wooden spoons on her wall, of course, but yours are just way, way cooler looking! Very very nice. You sure have been busy. Your sons room looks great. Your wall hanging andthe give away are so cute. Thanks for sharing. I remember going to people's houses that had the wooden spoon and fork hanging on the wall. My mom's house did not. I really like the kitchen projects, especially the curtains. Great way to show off Rosie. Your new "vintagy" kitchen cuties are sew sweet! I have been thinking I would like to makeover my kitchen with the same colors. I think you have me beat already though for kitchen goodness. Your son's room looks very nice and the wall hanging is a great addition. My sons never let me near the walls of their dorm rooms with my decorating ideas. I am happy to say that the oldest son does have one of my quilts hanging in his bachelor's place these days, a tablecloth and runner made by me and even asked me to make some other fabric goodies. My younger son does love his quilt made by me, too, and I know it is well used. he is starting to need a new one and I have an idea in mind. Love love love the fork...fun projects :) Black gingham sounds intriguing but alas, I have not done my part on this quest as I have recently cut back fabric spending in lieu of other expenses. You are so right...that wall DID need something...and I loved the corner pieces...with the MSU in them...I immediately thought subliminal message...as in "Miss You"...I bet that is true for sure...just don't tell him!!! The new kitchen decor is fabulous! I love all that you have done. YES....I do remember those hanging wooden utensils. I'm so glad that we managed to save some of the gingham. I helped out be buying some. You have really been busy!!! Your son should love his new room! You never know about those guys. My sons all turned out to be "neat freaks", which they certainly showed no signs of when they were home! Your kitchen will be so pretty!!! Love the colors and your projects are beautiful! 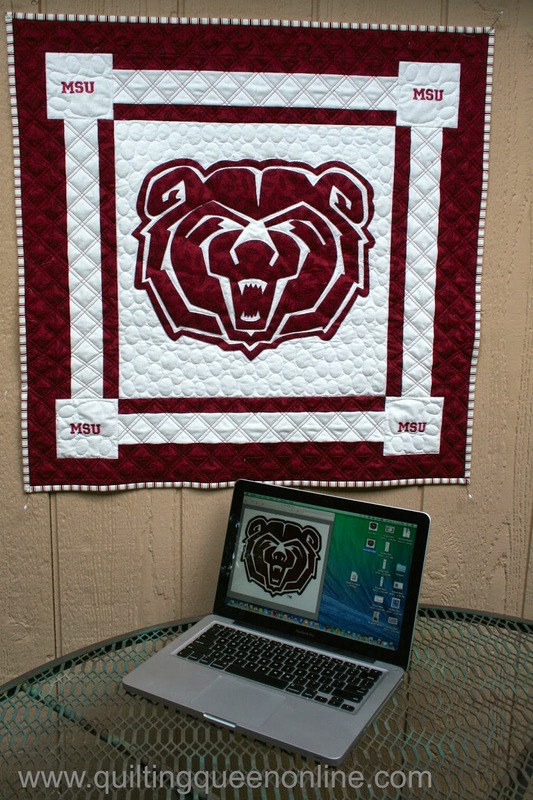 That bear is really something but my favorite are all those gingham projects. I love the color combo-so retro. I've always loved gingham, but found it difficult to find. I hope RB continues to produce this classic. Thanks for sharing. MSU Yah!! 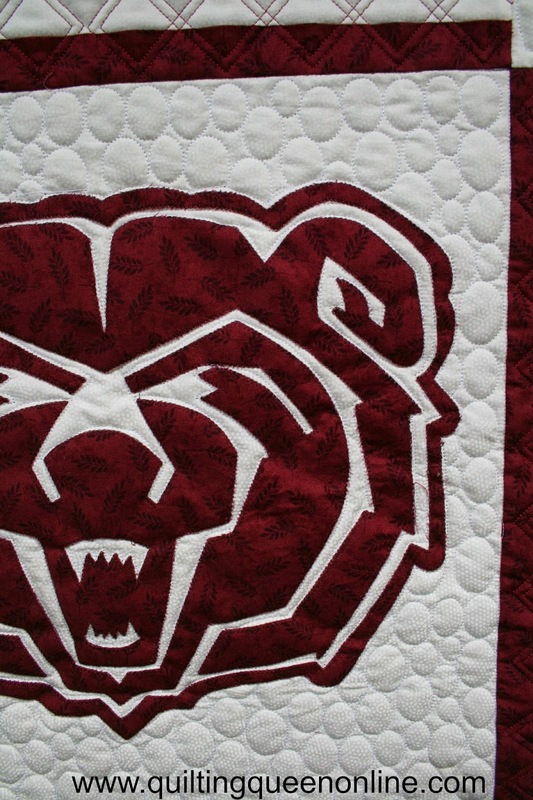 Love the color and the bear, I know you son was happy with it, and the quilt on the bed made a nice touch. 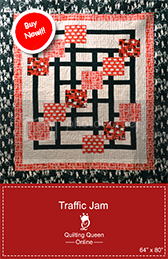 How aoubt all the little gingham projects, you have saved the day for RB ginham. 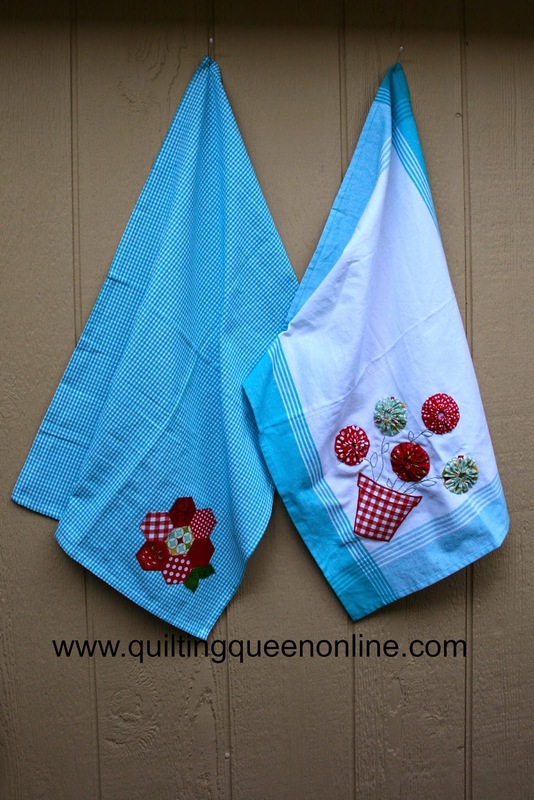 I made a apron with my RB gingham and will also be given out a layer cake a give away. Oh, dear. I have not done my part to save gingham. In fact, the only gingham I have seen is the old fashioned, poor quality poly-cotton stuff that comes through the donation bins at church. I always put them into the Goodwill box, for those fabrics won't hold up in a teen's grad quilt. I have yet to see the RB gingham in any quilt stores around here. The Pacific NW is not really gingham style, I guess. BTW, I love what you did to the Rosie panel! You are spot on with the kitchen color scheme!! Very retro and reminds me of my mother's kitchen. She loved gingham. RBD is THE BEST Gingham fabric around and Im so glad they decided to keep at least the medium size. Those large checks are what I've seen called Buffalo Checks.... psst...don't forget to turn OFF your word ID. You may not even realize it's on...I didn't until a friend pointed it out to me several years ago. You will get many more comments. Love your kitchen softies - just perfect!! And the bear you made for your son - wow!! I have not done my part to save the gingham...I am on a fabric fast this year until I get my stash under control!!! I love your "new" kitchen look with all the gingham. 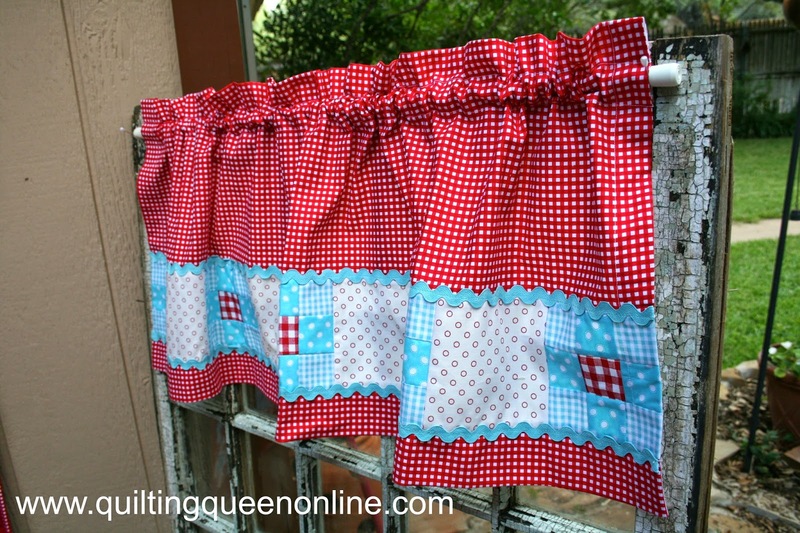 I have wonderful memories of gingham...dresses, curtains, pillowcases, etc.....all made with gingham and rickrack! The quilt on our bed is made with a "chicken scratch" pattern on gingham! I'm glad that it hasn't been lost in time! I confess that I have not purchased any gingham. Yet. New fabric hasn't been in my budget. Yet. Loved your post!! I haven't had the budget (yet) to help save the gingham but I am really loving the rainbow of colors I've been seeing! Your garden setting is very clever, congrats on making the Wall of Fame! Little Miss Suzy Homemaker in the Garden is just adorable!! I am a sucker for anything Aqua, and with the Red it is such a Happy Collection!! I had Girls who wanted to decorate their own Dorm Rooms...I just paid the Bill! Thanks Doris for sharing all your Projects with us. Yes, I bought lots of Gingham in the different sizes for Towels, etc. It's really fun to work with and I am sure Rosie loves it too!! 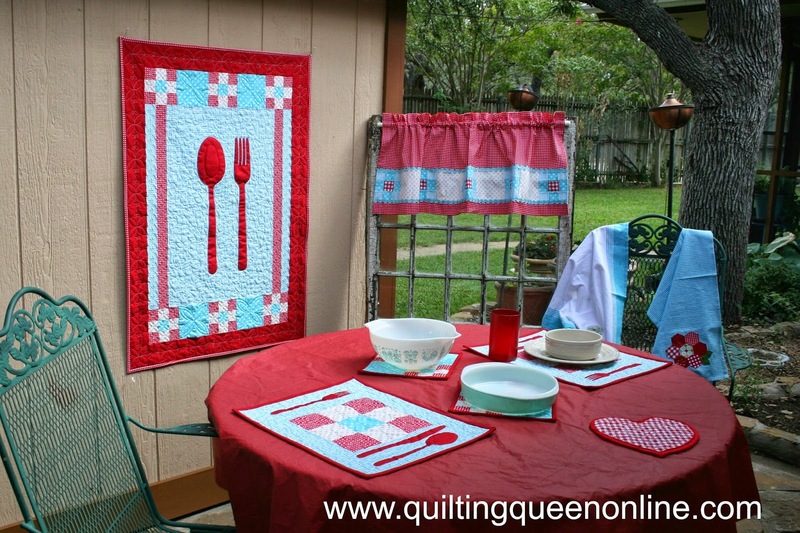 I LOVE your Gingham Rosie - and your big spoon and fork wall hanging - and your kitchen redo. I love all of it! I purchased some blue gingham to make a tablecloth with. Thanks! My goodness you have been very busy. Avery thing is done so well, Little Miss Suzy Home Maker is too cute and my favorite in all is the napkins. So original. Oh wow! I love all the awesome things you made for your kitchen. They are all beautiful. Im in love with your ginghams, especially the curtain. Sooo sweet! But all your projects are wonderful and the wallquilt for your son is so special! 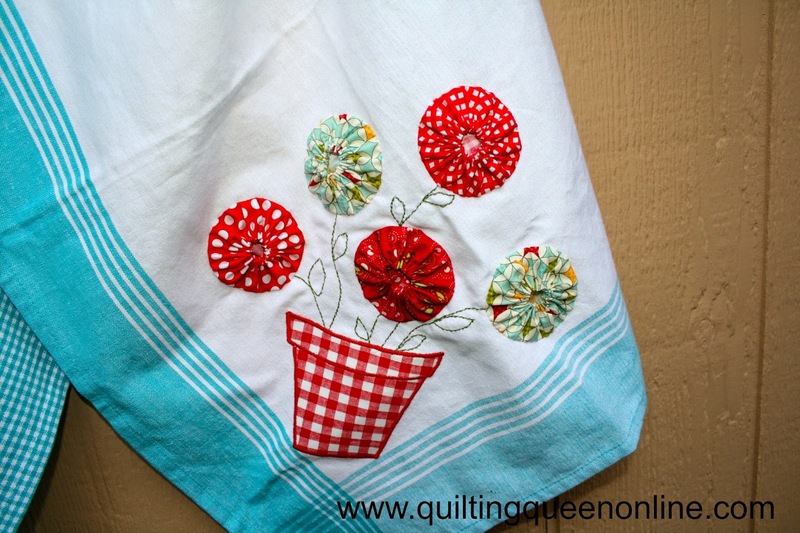 So many lovely projects to comment on, my favourite is your gingham collection. The bear is AMAZING and your kitchen redo is fantastic, I love it! Boy.....William has the best room on campus! 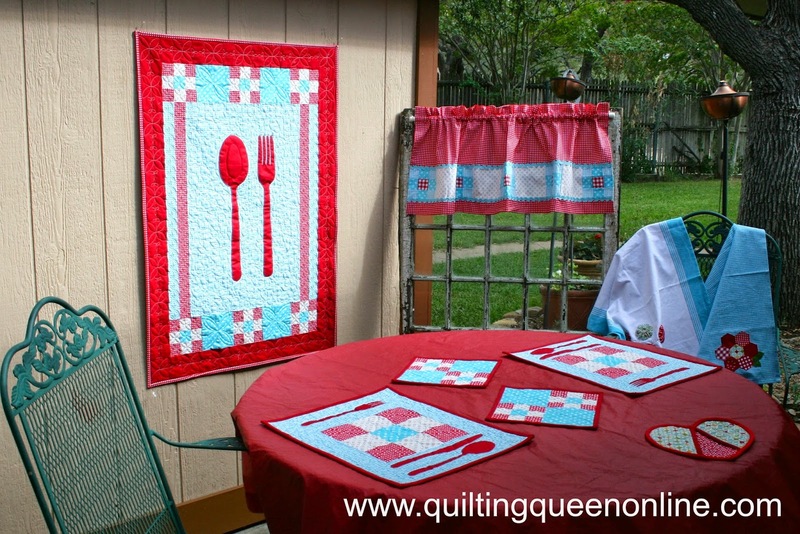 Love the quilt and the hanging. Darling Rosie.....she will inspire you to "just do it!" Love the red and aqua goodies. I'll bet your kitchen is just amazing. Thanks for sharing today and thanks for the giveaway! Great projects! I bought a small amount of pink gingham and made curtains for my oldest granddaughter. Thanks for sharing your projects and for the giveaway. Wonderful projects. Your kitchen is going to be stylin' for sure. Love everything you made for your kitchen. I did my part to help save RB gingham. Luckily I was able to find all the colors I wanted, except for the black and white gingham. I'll get that when the stores replenish their stock. Oh great projects! 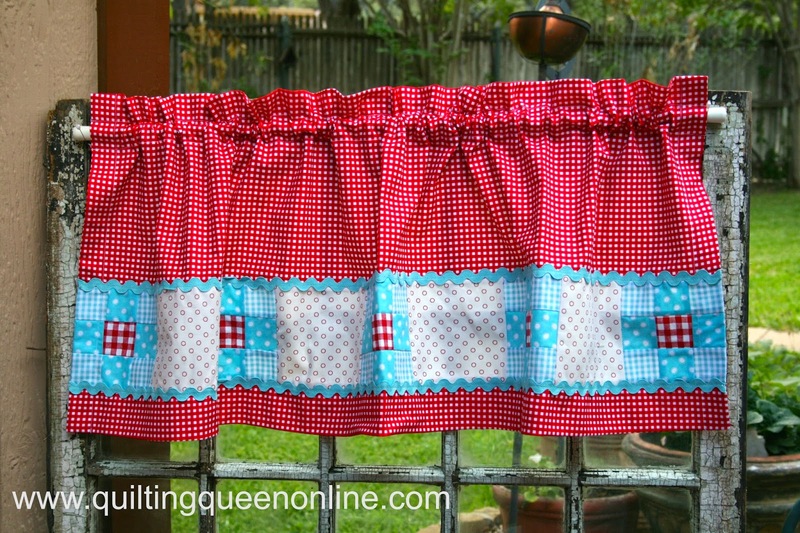 I really like your gingham ones, your kitchen is going to look so cute. What gorgeous projects. I love your outdoor kitchen. Those curtains are lovely. Thanks for the lovely giveaway. I have always liked gingham. I recently bought gingham yardage for a scrappy quilt I'm sewing. I have lots of gingham in my stash. It's a fun accent for many projects. Yours turned out fabulous. Thanks for sharing! I love the gingham!! 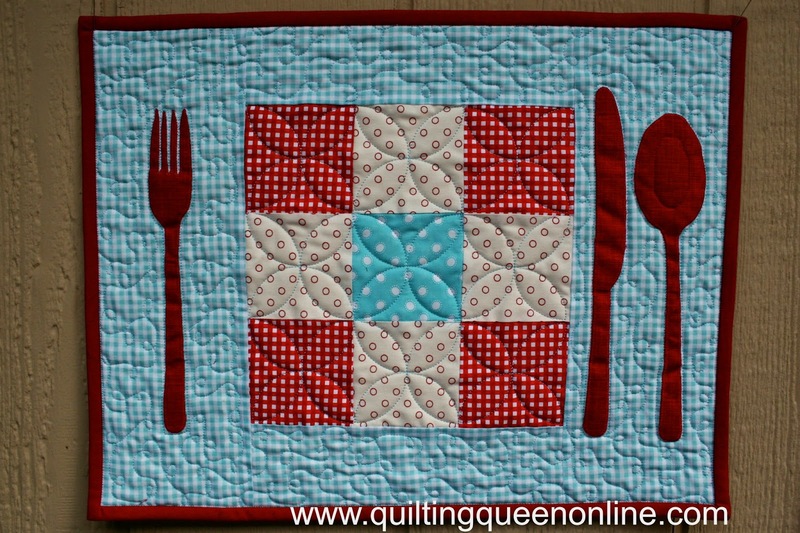 I'm making a 'kitchen' set too, placemats, etc. 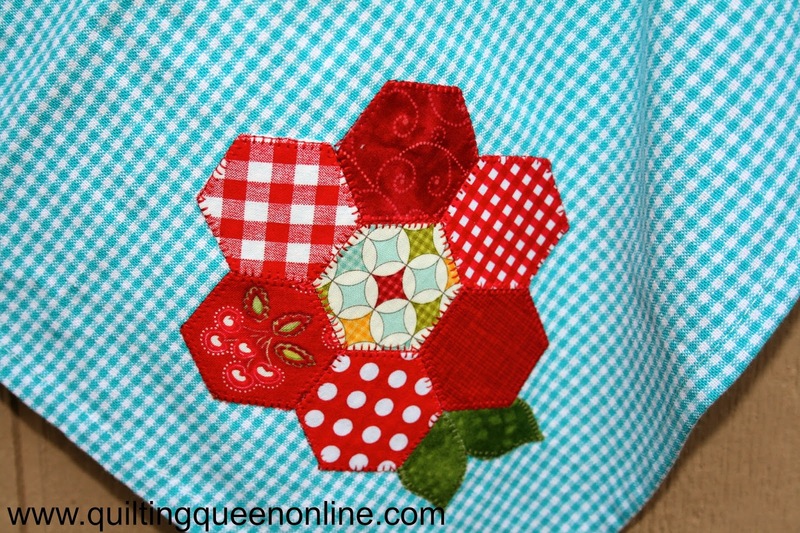 Your projects are very nice and you used the gingham in a lot of places. Congratulations and thank you for the giveaway. Holy cow Doris, you are not only the Queen, but you are a machine!! Here I am responding to today's post and you already have another one up! 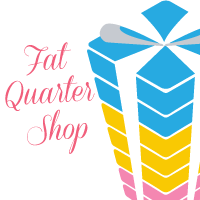 So, back to the blog hop. I am definitely NOT showing my son your son's college dorm wall hanging! It is amazing. 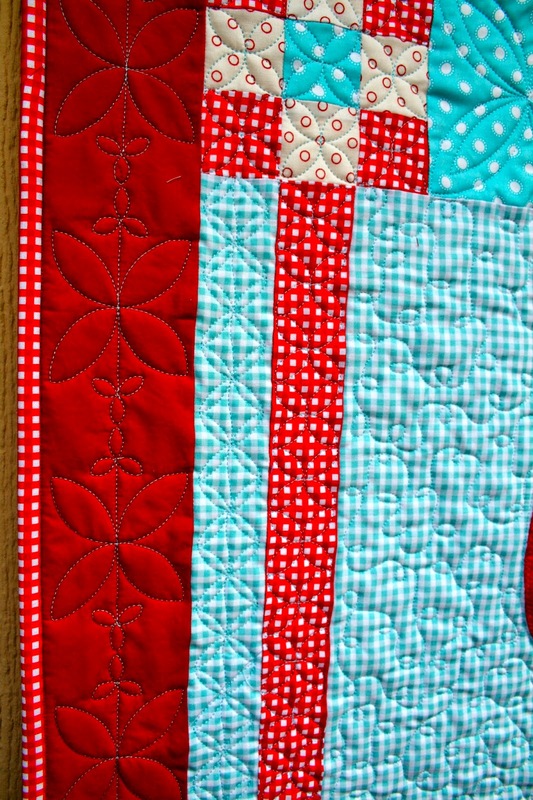 Your red and turquoise gingham zillions of pieces :) look so good AND the pictures look super too. 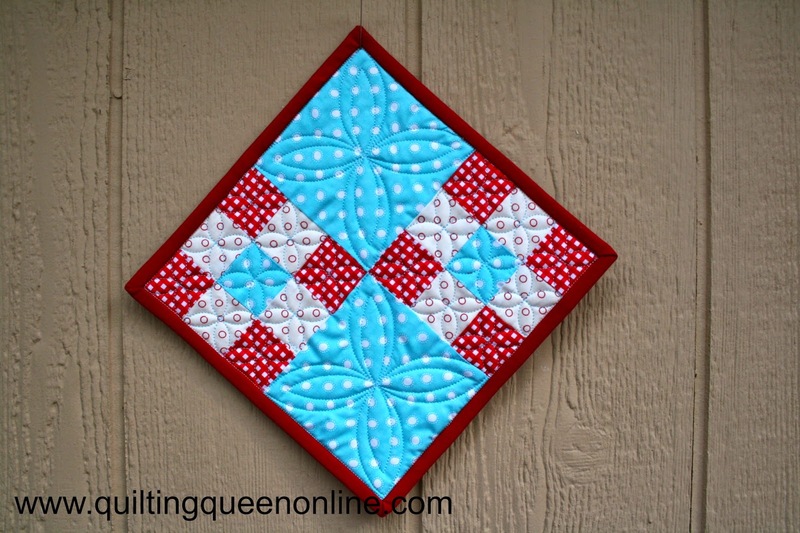 I really like the quilting you did on them as well. You go girl! Rosie can sure inspire us all, even today. Your sons college dorm is a home away from home. I love all your new kitchen accessories, and the colour scheme, YOudo wonderful work. Wow! what amazing projects! I am blown away. 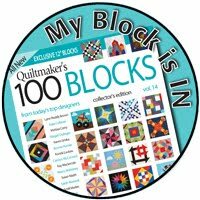 Your quilting on each one is spot on. The kitchen set is just SUPERB. I have been dreaming of making one for my kitchen, hope I will be able to implement this inspiration! Sorry forgot to mention I bought some gingham rollie pollies :). Wow. I'm on overload. It's like a gorgeous re-do for you kitchen. Great projects. The dorm room is done up well. Great projects and I love all of your kitchen things. Lots of great projects. Love Rosie the best. I think its fun that you used gingham with her. Tough gal with girly gingham. Perfect. You did so much. Love the spoon & fork. I have some gingham charm packs! Great projects, love the curtains. Beautiful. Love the gingham. it reminded me that I had an apron that I made back in my 4-H days that i should bring out and use. What a great summer of sewing you've had! But your kitchen ensemble is over the top! Love them all! I love all your new kitchen accessories, wonderful in ginghams! All your projects are great. Doris, they are all just beautiful displays of color and perfection. Love your kitchen accessories. They are just too cute. I would love a kitchen set like that. I'm sure your son is loving that bear. Too cool!! Love, love all of your kitchen gingham. The curtain, is so hear. Great job. Oh wow! You hit it out of the park! Your Rosie is so cute, your MSU mascot is just the greatest and so perfect for a "guy" room. But your new kitchen projects are just fabulous. What a great place that is going to be to cook in! Wonderful projects! 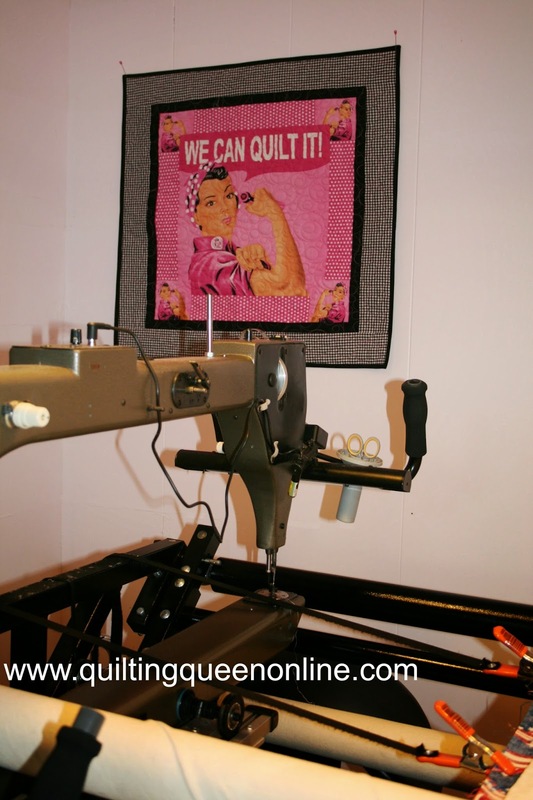 I need a Rosie wall hanging in my sewing room to keep me motivated. 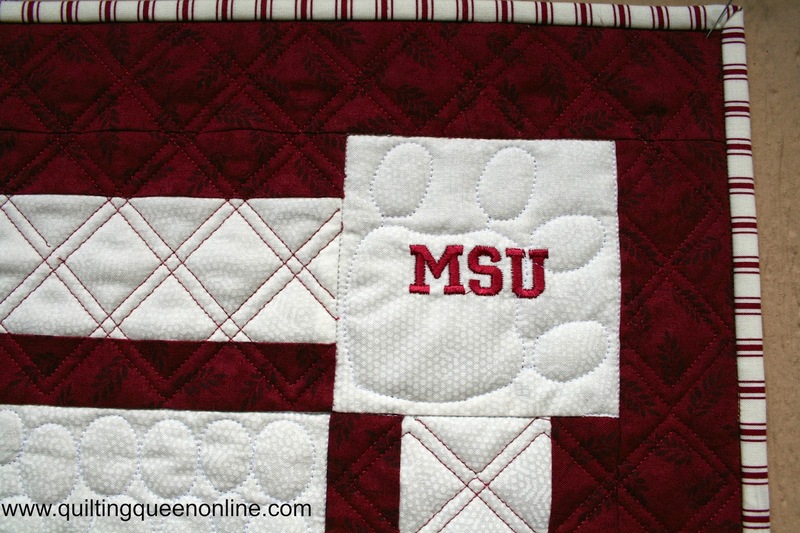 What a nice MSU quilt--just perfect for the dorm. Your kitchen accessories are too cute. You will have the best decorated kitchen in town! Love all your entries but the kitchen re-do with all the red and aqua lovelies have to be my picks! My fav color combo, really. You did good!